If the giblets and neck are inside the turkey, remove them. Rinse and dry the turkey. Then take the orange, slice it in half and stuff it inside of the bird. In a separate small bowl, combine the oil and seasonings. Once combined, rub the mixture under the skin and on the breast of the turkey and then all over with any remainder. Make sure the legs are secured, if not, tie the with kitchen string. Take a roasting pan and set the turkey in it with the legs tucked under. The turkey should be set on a V-rack inside of the roasting pan. If you do not have a V-rack, take about a ½ cup of chopped carrots, celery, and onion and place it under the turkey. 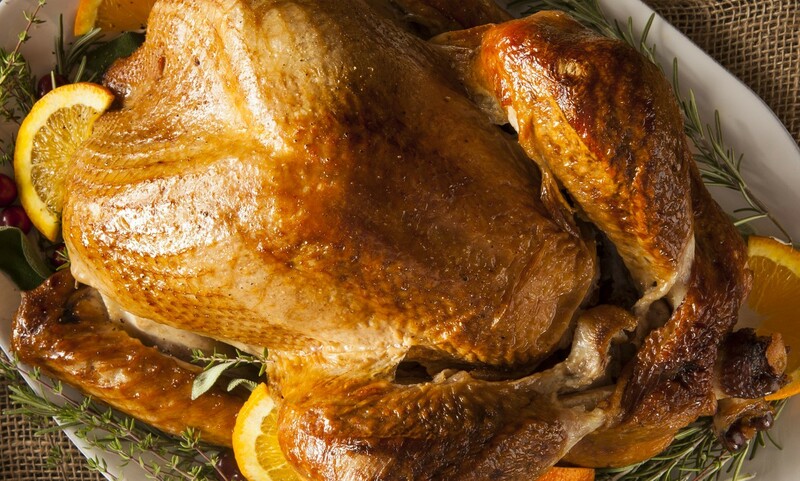 Once the oven has reached 400 degrees, roast the bird for 30 minutes. After 30 minutes, reduce the oven temperature to 325 degrees and continue to let it cook until the internal temperature is at about 180 degrees for the leg and 165 degrees for the breast. If for some reason the outside of the turkey is turning dark in color on the outside and you have yet to reach the proper internal temperature, cover the bird with foil. Enjoy.